Move over Starbucks! 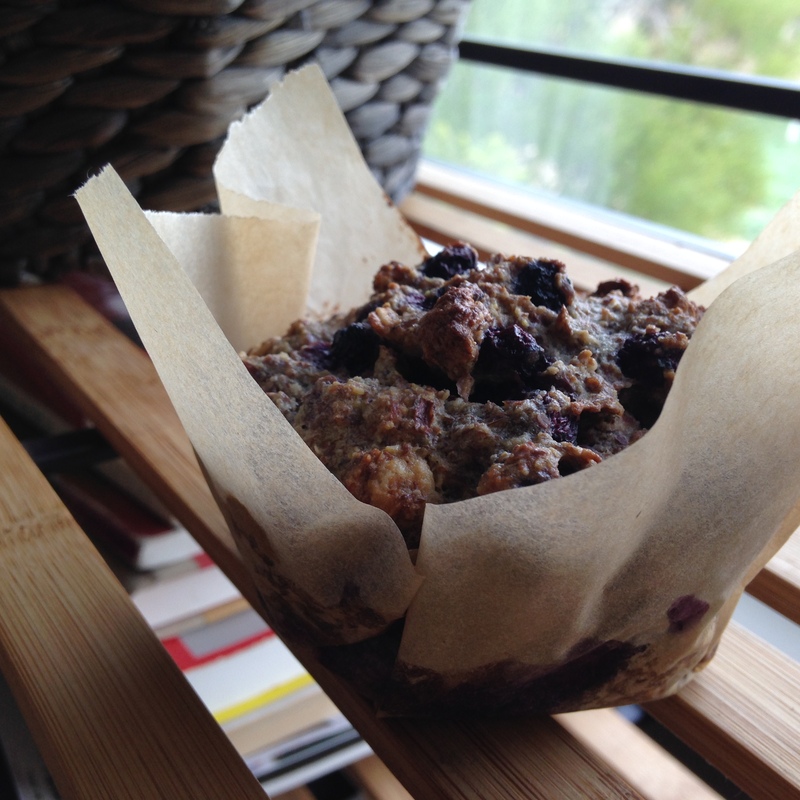 Just one of these muffins in the morning will hold you over until lunch, no problem! They’re chock full of fiber, protein and taste! Spread bit of grass fed (Kerrygold) butter on and you’re all set to go. These gems are Paleo legal and keep your insulin levels low! Why is that important? Because insulin is a fat storing hormone and none of us want to be laying down more fat! In a large bowl combine almond flour, flax meal, arrowroot or coconut flour, inulin,baking soda and salt and sunflower seeds. In a food processor, blend dates, eggs, applesauce, honey, lemon juice, olive oil, and coconut milk on high speed until very smooth. Spoon batter into lined (cupcake liners or parchment paper) or greased muffin tins. *Inulin is made from chicory root and has a sweet taste. It’s a resistant starch that supports the health of the colon and feeds your good bacteria.